When thinking of high-end astronomy binoculars, Soviet relics from the Cold War don’t necessarily spring to mind. That is, unless you know about Tento 20x60s. Though discontinued decades ago, these Russian-made military bins have remained in demand for their high-end optical quality. 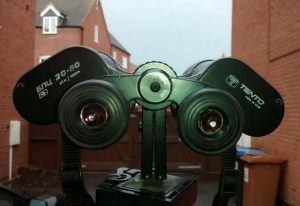 The Tento is popular with stargazing enthusiasts because they offer desirable performance at a discount. 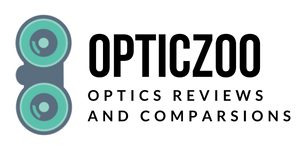 Their optics are considered premium even today, delivering magnification without distortion and a bright image. In this review, we’ll go over the Tento’s features and what to consider when buying. 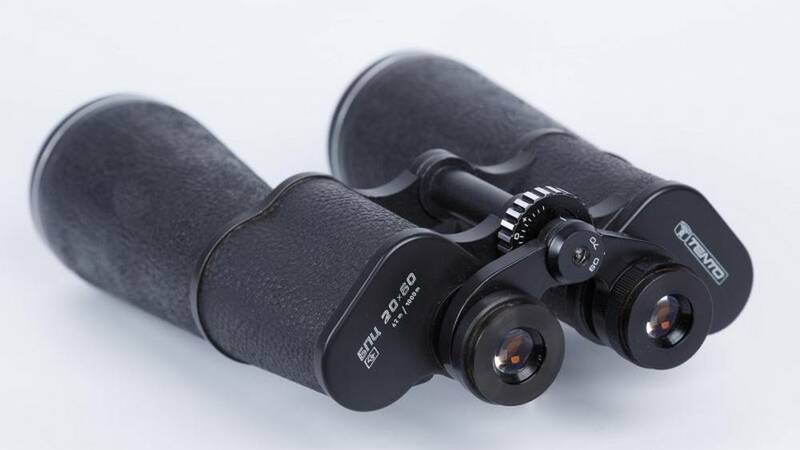 Tento 20×60 binoculars were manufactured for the Soviet military to deliver high visual clarity and versatility. These classic bins were manufactured by the ZOMZ factory, and the name “Tento” was given to Western exports. Though their technology is no longer cutting edge, Tentos still deliver high performance, even when compared with modern high-end binoculars. As they were popular bins for many years in the USSR and its satellite countries, Tentos can still be found online, or in the occasional garage sale or attic. The Tento’s durability has kept many units in working condition, but superior optical quality is why they’re still around. The field of view (FOV) is substantial for 20x magnification. The image is bright and crisp throughout most of the viewing area, and finely-tuned optics render colors accurately with few stray light artifacts. They even provide depth perception at extreme distance. These qualities make the Tento great astronomy binoculars, even if that wasn’t their original purpose. The demanding military specifications of the old-style Tento makes them excellent stargazing instruments. Let’s check out their “astro-bin” features and where they come up short. 20x magnification is high for binoculars, and often comes with distortion and loss in clarity. The Tento 20×60 delivers a crisp image with a substantial 3.5* FOV area, so you can sweep the sky and find targets more easily. The Tento’s FOV is uniform almost to the edges. One caveat: there can be a yellowish tinge across the FOV. This is a common issue with Russian glass of this period. The effect grows more pronounced in brighter light: it won’t interfere with nighttime viewing, but could be a nuisance for bird watching. The secret of the Tento’s quality isn’t the Bak4 glass or porro prism construction, but the careful sizing and alignment of the optical elements. The Tento doesn’t rely on multilayered coatings and modern shortcuts, but simply carries out an effective porro design with extreme accuracy. The optical quality allows for depth perception when gazing at celestial objects and renders star colors accurately. The exacting alignment eliminates obstruction of the light path, reducing stray light and ghost images. This provides a brighter nighttime view, but it’s a bit dim in daylight: another reason Tentos are favored for astronomy instead of birdwatching. Balerma A.C..Prismáticos Tento 20 x60. .
Another strong Tento feature is the smooth and responsive focus. The setting holds well, and keeps its focus even when jostled. One area where the Tento 20×60 shows its age is the limited short-distance focal range. You can’t reliably obtain focus of an object closer than about 35 yards. This drawback won’t interfere with astronomical use, of course, but it isn’t ideal for watching wildlife. Comfort is something you might not expect from a military relic, so let’s call this feature a bonus. The Tento 20×60 is easy on the eyes, literally. These bins made for long sessions. Precision ocular alignment reduces eye strain by eliminating distortions in the FOV. There is little blackout, which happens when your eye moves out focal range and the image disappears. 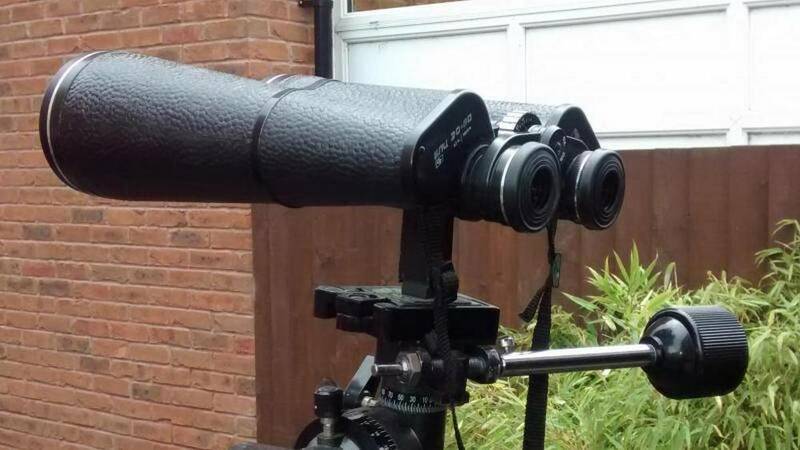 Blackout can be a problem with modern binoculars, but isn’t a big issue with the Tento. On the other hand, the short eye relief makes the Tento 20×60 difficult to use with eyeglasses. If you only have mild myopia, the focus can usually compensate and give you clarity without corrective lenses, but be aware. Tentos aren’t today’s sleek designer bins with rubberized housing and tech gadgetry. If the solid retro look seems ready to withstand a bomb blast, it is mainly because they are. They aren’t for show. The rugged, all-metal exterior has a pebbled texture that grips well and is comfortable to hold. The weight is just over 3lbs (1.4kg), which puts them in the range of moderately lightweight astro bins today. You’ll need to mount these binoculars for viewing beyond a quick handheld peek: even slight hand shaking throws off an image at 20x magnification. Short views while out birding may work without a mount, but careful targeting of celestial objects requires complete steadiness. 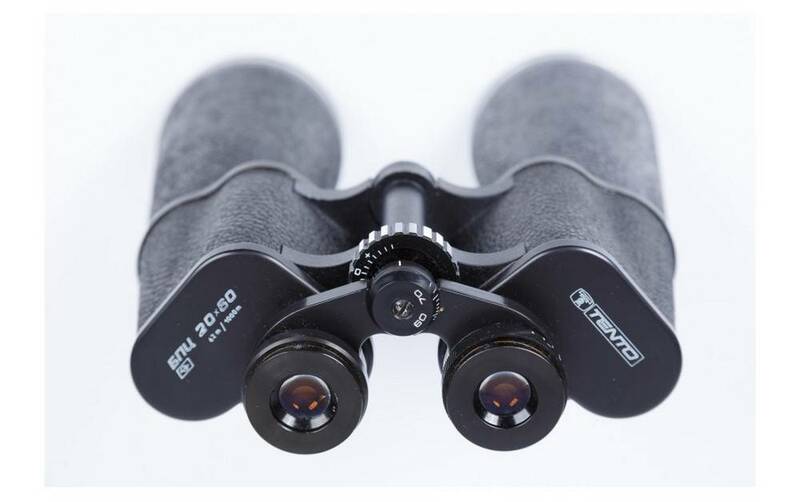 Find out what type of mount your binoculars use before buying. Tentos will work with the older center-bar mount, and some units have tripod or monopod bracket built in. 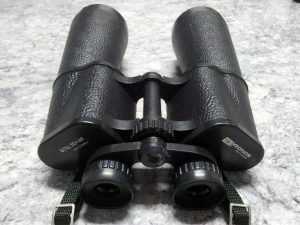 If you’re interested in vintage binoculars with high optical performance, you might check out the Kronos 20×60. Another Russian-made bin from the same era, with roughly the same specs, the Kronos is similarly excellent for astronomy. 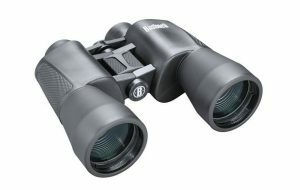 These are slightly less well-regarded and usually cheaper than Tento binoculars, but the market fluctuates. Kronos is a good option, and you can’t always find good Tentos. The technology is essentially the same in both binoculars. The Kronos is subject to the same yellow hue in bright light, and you’ll still need a mount. Though Kronos 20×60 bins aren’t exactly rare, you’ll have to do a bit of hunting. Here’s one owner’s journey to get you started. Celestron 25×70 SkyMaster is a good example of a modern manufacturer who attains optical performance through tech advancements suited for mass production. The price is affordable, roughly about what you’d expect to pay for a working Tento, maybe less. Of course, these bins won’t last as long. Expect less clarity and a dimmer night view with a spanking-new Celestron, but also slightly higher magnification and a much easier time finding parts. The Celestron 25×70 SkyMaster is objectives are also larger than the Tento’s, which helps make up for the lesser optical quality. 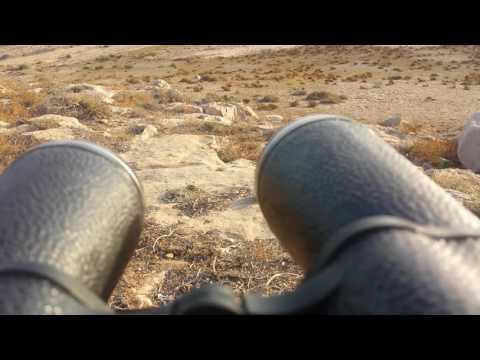 Check the Celestron 25×70 SkyMaster out for yourself! Bushnell is a well-regarded name in optical equipment, at least for now. 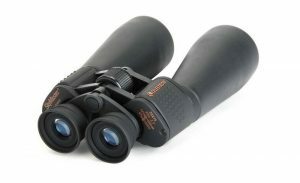 These astro binoculars are quite popular and includes modern optical innovations to achieve specs similar to a Tento. Also, you don’t have to look for them: they are everywhere. The optical quality of the Bushnell PowerView 20×50 is sufficient to get a newcomer started, and they are priced within the Tento’s ballpark. You don’t get the same clarity and depth, but it’s close. They have a better focus range than the Tento, so they are more versatile for terrestrial use. The real issue is the cheap-o construction. Check the Bushnell PowerView 20×50 out for youself! It’s natural to think current technology is the best, but there are exceptions. 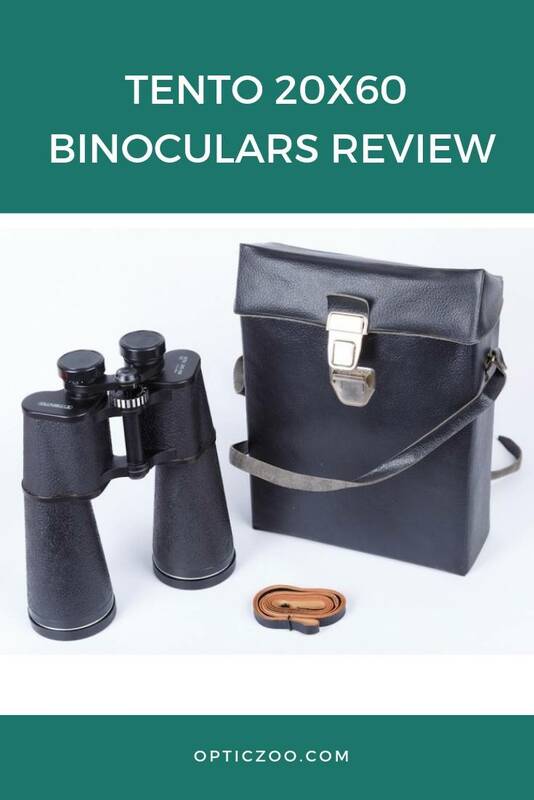 Vintage Tento 20×60 binoculars offer excellent optical value at a discount – you can find a tremendous deal. The Tento’s precision, faithful color rendering, and generous light-gathering qualities make them superior astronomy binoculars. If you’re lucky enough to find a good working pair, expect many years of wonderful viewing. Happy hunting!